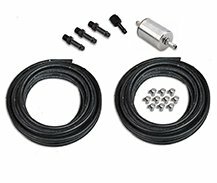 Holley EFI fuel kits are the perfect addition to your Sniper EFI or Holley EFI kit. They are engineered using a Holley fuel filter coupled with quality Earl's Vapor Guard plumbing to provide a fuel system tailored to the needs of your EFI System. 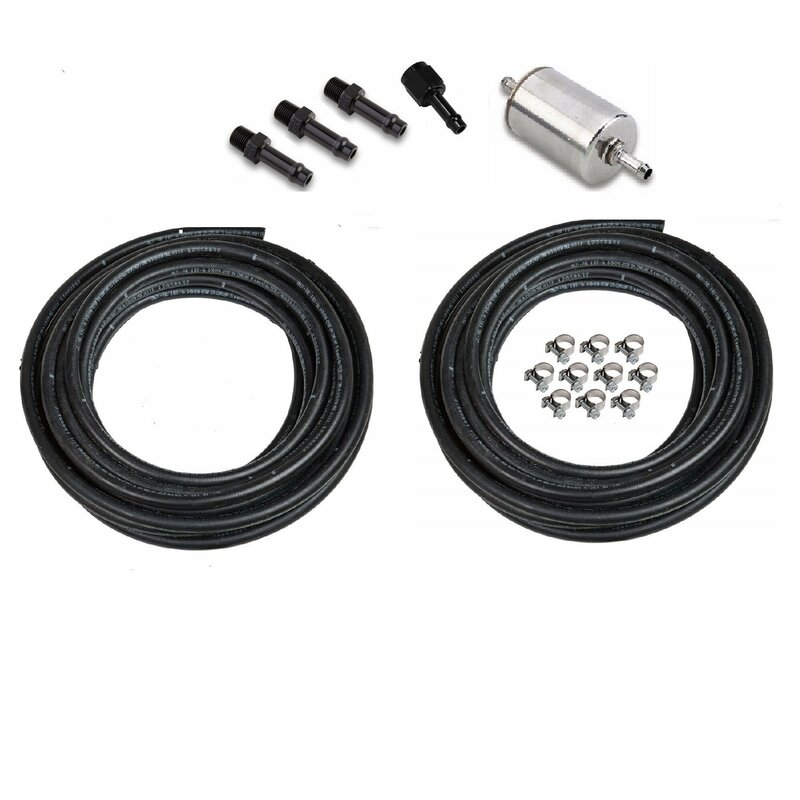 They are also a great addition to install one of our Sniper EFI Fuel Tanks or our Retro-fit EFI Fuel Pump modules! The secret to Earl's Vapor Guard hose is in its layers. The innermost Primary Barrier Layer offers high resistance to heat and aggressive fuels. The middle Earl's Vapor Guard™ Barrier is a Thermoplastic layer that provides superior fuel isolation and virtually eliminates vapors from escaping through the hose. The Exterior Cover Barrier provides extreme tolerance to heat and ozone giving Earl's Vapor Guard a three way shield against hose deterioration. Designed for a return style fuel system.